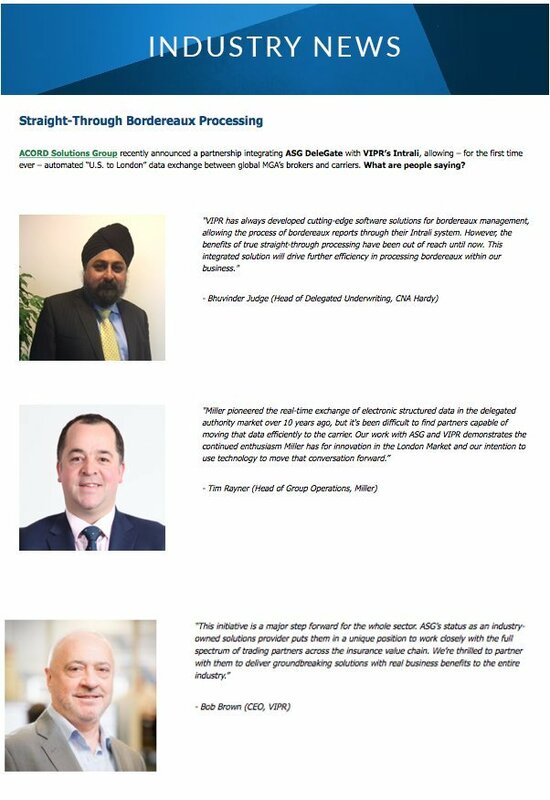 Here at VIPR, we are delighted to have featured in the ACORD on Q Spring newsletter, with the news of our partnership with ACORD Solutions Group. 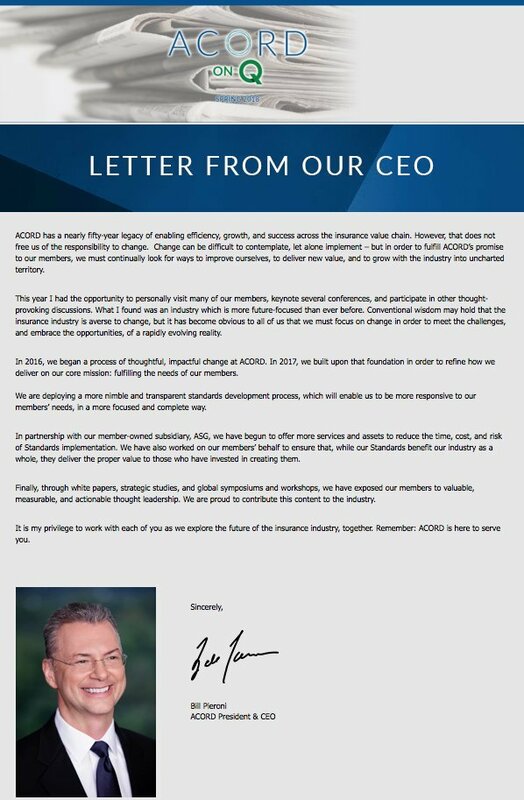 The quarterly bulletin, introduced by a letter from ACORD President and CEO, Bill Pieroni, was distributed globally to all the associations members this month and announced the news of our joint venture; the integration of ASG Delegate with our leading product, Intrali. The merging of both products will allow for the first time automated ‘US to London’ data exchange between global MGAs, brokers and carriers. Read the full newsletter article below.